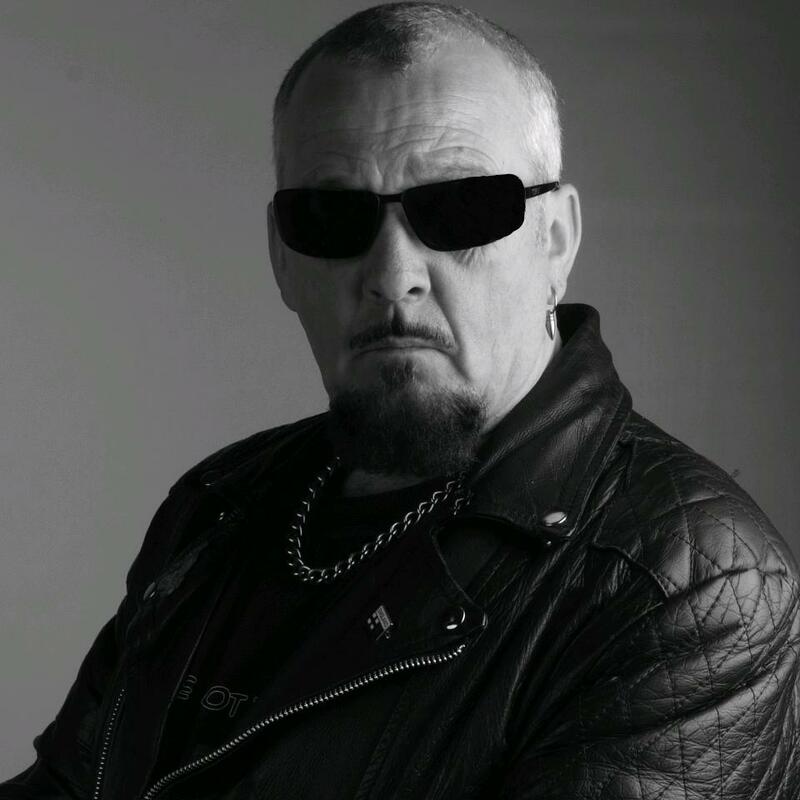 Al Atkins was the founding member and frontman of Judas Priest starting in 1969. The band would see a couple of different lineup changes before Al would leave the band in 1973 due to family obligations at home mixed with the tight financial situation created from being on the road with a young band in it’s infancy. However, Judas Priest would go on to become a household name in the metal world and 40 some years later are still a highly sought metal commodity. Though Al’s stint with Priest was as short as it was impactful, his role as founding member would not be the only jewel in the crown of his legacy. In 1990 Al would reappear in the world of heavy music under a self-titled project with guitarist Paul May. They would go on to release 4 albums between the years 1990-1998 and a fifth in 2007, to much critical acclaim. In 2009 Al would publish a book called “Dawn of the Metal Gods”. The book would be an autobiography detailing his career from his days with Priest in the late ‘60’s to the work he was doing with a new project at the time with Legends guitarist Vince O’regan. That project was called Holy Rage. They released one full self-titled album in 2010. Shortly after that Paul May approached Al to do some guest vocals on a project he had been working on called Serpent’s Kiss. Al ended up doing the vocals for the entire album and they released it under Atkins/May project. They would go on to release 2 more original albums as well as an anthology album, again, gaining much critical acclaim. Presently Al is in the process of releasing a new album called RELOADED. It is to be a compilation of re-recordings of his favorite songs from his days with Priest up to and including his work with Holy Rage. 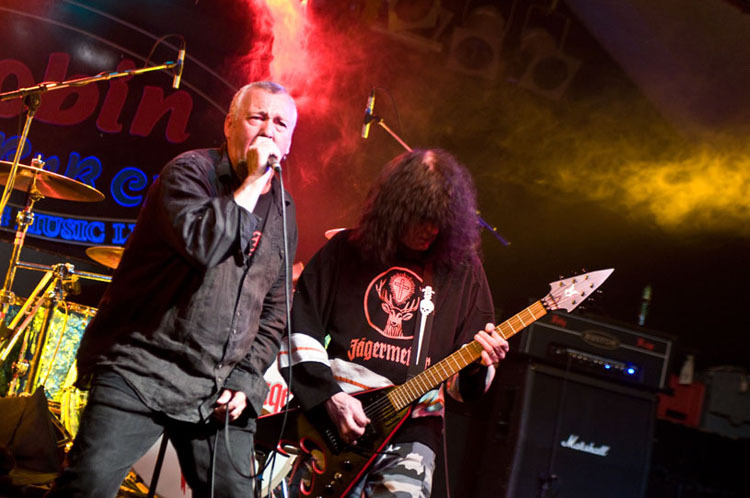 The album is to feature many notable guest musicians such as Ian Hall from Judas Priest and Primal Fear’s vocalist Ralf Scheepers. Talking to somebody who is credited with helping to create what we know as Heavy Metal today, I think it would be interesting as a metalhead to know what your inspirations were back then. What were you listening to when you were playing with bands prior to and after having formed the first line up with Priest in 69? Would you say that the music you were listening to helped shape the music you created and if so, in what ways? A big influence on myself was when I first heard groups like ‘The Who’ and ‘Cream’ in the 60’s and from then on the music had to be loud and heavy, the next band that made me sit up and listen was Deep Purple with vocalist Ian Gillan …later was Black Sabbath and Led Zep who had both formed around ’68 and I just had to form a band like these and in 1969 I formed Judas Priest..
Would you say your musical influences and tastes today are much different from what they were back then when you were forging Priest? Starting off in Birmingham England, in 1969, you were playing shows alongside acts like Black Sabbath and Status Quo. You’ve even played alongside acts like David Bowie and Rod Stewart in the 1960’s. How would you describe the rock community at that time? Was it a supportive thing? Was there more of a competitive vibe happening? 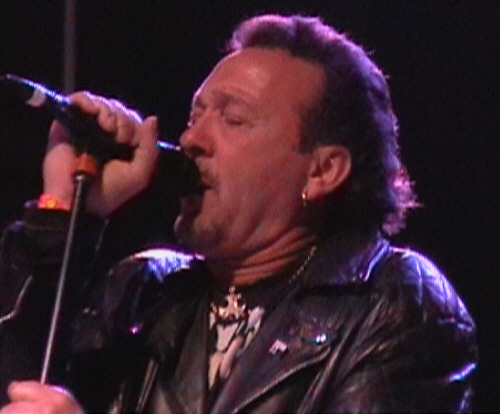 It was much better then than now, everyone helped each other and there were plenty of venues to play…it was an healthy competition between bands , we had Tony Iommi helping us in Judas Priest and helping us climb the ladder (has to speak) with much bigger venues and supporting top acts. When I hear of some top acts now charging young up and coming bands to support them it makes my blood boil…. 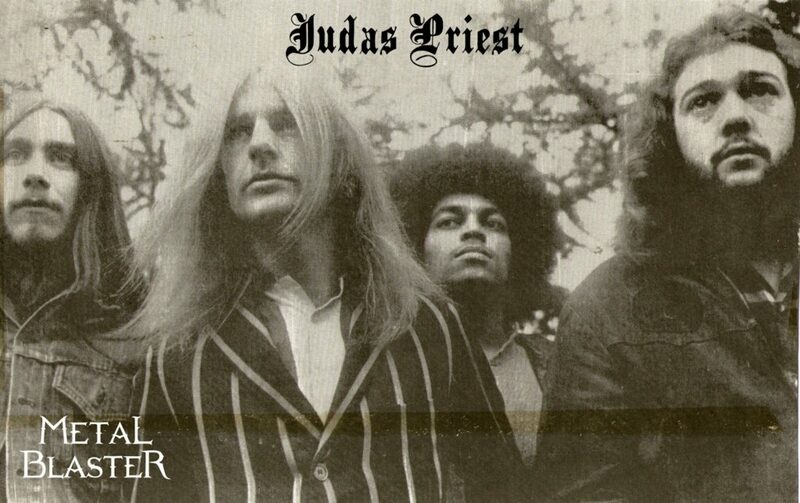 In 1973 you called it quits with Judas Priest due to family obligations and financial stress. In 1990 you reappeared on the scene with a solo project. That’s nearly 20 years later. What spurred you to come out of the shadows, per-say, at that time? Were you doing anything else between your departure with Priest and your Solo debut musically? I did quite a lot , I formed another heavy rock band in late ’73 with drummer Pete Boot from Budgie called ‘’LION’’, this was one of my favourite bands that I had ever played with who were a crazy bunch and we stayed together until around ’78….our sound engineer Big Mick Hughes later joined a young ‘Metallica’ and is still with them now… in the 80’s I then turned more to writing music and built my own studio’s producing and helping young bands from around B’ham until I decided to give it another shot and formed my new band in ’88. I recorded two solo albums in ‘90 and ’91 for a Berlin record company and this kick started me back…. Between 1990 and present day you have done a tonne of work with Paul May. He is on the five albums you have released under Al Atkins as well as on the four albums released under the name Atkins/May Project. I was wondering, how did you come to be involved with Paul? One of the young bands that came to my studio’s had Paul May has their guitarist and I was blown away by his playing and he helped me record a ton of my demos and we formed a great music relationship together which has lasted nearly 30 years.. Sometime during or shortly after your go with Holy Rage, Paul approached you to do guest vocals on an album he had written and nearly fully produced. You ended up singing on every song and releasing it as Atkins/May Project. Was there a notable difference in working with May when you were the driving creative force vs working with him with as more a co-creator? Or was it much the same as your previous process with him? The Holy Rage band was the first time Paul and myself decided to go our separate ways , I wanted to go down a heavier /darker side road and Paul had now become a born again Christian and formed his own band the Temple Dogs…my band went through various line -up changes over the years until I decided to quit and Paul had also given up with his band and one day he called me to ask if L would be a guest singer on an album he was recording called Serpent’s Kiss……I ended up doing the whole album and we decided on joining up together again and calling ourselves ‘AMP’ Atkins/May/Project. The album sold really well and our record company asked if we could put out another so we recorded ‘Valley of Shadows’, Paul now was in the driving seat with his own studio’s and tons of songs he was writing and I thought why try and fix something if it’s working and the following year we then recorded ‘Empire of Destruction’…. To that point, what exactly is your writing process when it comes to working with other bands? I know you play a bit of guitar and started off playing drums in a band before you formed Judas Priest. Are you involved in the musical arrangement of many of the albums or do you come in and lay down vocals after the fact? In 2009 you released a book called “Dawn of the Metal Gods” which would be a sort of origin story for Judas Priest and an autobiography detailing your career right through working with Vince O’regan and Holy Rage. What caused you to do so? You are presently in the process of releasing another studio album called Reloaded. I understand that this project is to be a compilation of newly recorded versions of handpicked songs you had written and performed throughout your 40+ year career, including songs you had done with Priest. What inspired you to do a sort of anthology type album instead of releasing new material? I thought it would be a good idea to re record some of my fave songs and work with other musicians on them from around the world and it really exited me. Maybe my next album will be all new songs!!!!!! There are going to be a few special guest musicians on this new album, including Ian Hill also of Judas Priest. To my understanding this is the first collaboration you’ve done with anybody from Priest since the ‘70’s! How did that come about? Have you two remained on speaking terms throughout all these years? Yes Ian and I still meet up now and then and have remained good friends over the years, he is the most down to earth guy you will ever meet and a really nice bloke too. I understand that this is the first time he has played on any other record apart from Judas Priest so I am honoured, cheers mate!!!! Also, you have released and recorded a few songs that are in the Judas Priest catalogue. Was it at all challenging to work out the rights to who owned what after you split and they got their break? Who else can we expect to hear from on Reloaded? Will Paul May be a contributing force at all? You are a man who has carved a 40 plus year career into the soul of heavy metal/rock and roll. I was wondering, considering the hyperinflation of social media and the digital world, if you have any comments or views on how music is distributed as a medium today? Do you feel that the digital revolution has been beneficial to the industry or do you see it as a hindrance? In closing, Al, I would like to thank you once again for agreeing to this interview with Metalheads Forever Magazine and giving us your time. Are there any other thoughts or comments you would like to add as our interview comes to an end? Just like to thank Randy, David and all at ‘MetalHeads Forever’ for this interview and everyone to keep the fires burning for metal music…keep it heavy !!!! THANKS.